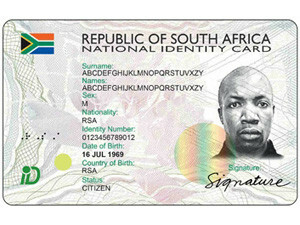 In 2015, the Department of Home Affairs launched the pilot phase of its project to allow staff at Standard and FNB to apply for smart IDs in the banks. South Africans looking to apply for new smart IDs and passports online will have to wait, despite the pilot project for applications with Standard Bank and First National Bank (FNB) going ahead last year. The Department of Home Affairs (DHA) says it is still finalising its e-channel system, which will allow citizens to apply for their smart ID cards online through bank Web sites. According to DHA spokesperson Mayihlome Tshwete, a time frame for when the department's smart ID online application process will be live to the public cannot be provided at the moment. "The department is finalising the modalities with respect to the e-channel process that will allow our clients to apply for smart ID cards and passports at banks that they bank with," he states. Tshwete adds: "We will make an announcement once the process is finalised." Home affairs announced in April last year, as part of a strategy to move services from paper to digital and eliminate lengthy queues at its offices, it will launch an e-channels system. The e-channels system allows citizens to enter personal details digitally before going into the bank for fingerprint capturing and identification verification. Once the citizen goes to the bank for an appointment, he or she will go to the counter allocated to home affairs officials, who will verify identities online and capture biometrics digitally. Last year, the DHA finally kicked off its plan to pilot issuing of smart IDs via South African banks. Working with Standard Bank and FNB, the department said the initial phase of the project will be targeted at bank staff only and if it proved successful, will be extended to the public. The department, which announced the introduction of the smart ID cards in 2013, plans to replace 38 million traditional barcoded ID books by 2018. The DHA previously said it aims to issue more than 2.2 million smart ID cards by the end of March this year, as it steps up its modernisation plans.